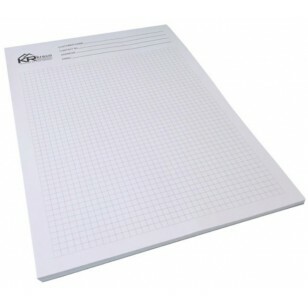 Promotional A4 notepads, custom printed with your design on each page. Price listed includes a 1colour custom print. Prices exclude GST. Delivery is within Australia only. Price is for 25 pages. This notepad is available with a 50page or 100 page configuration upon request. Delivery time for custom branded orders is 2 weeks. For a smaller product, consider our range of custom brandable sticky notes imprinted with your graphics.